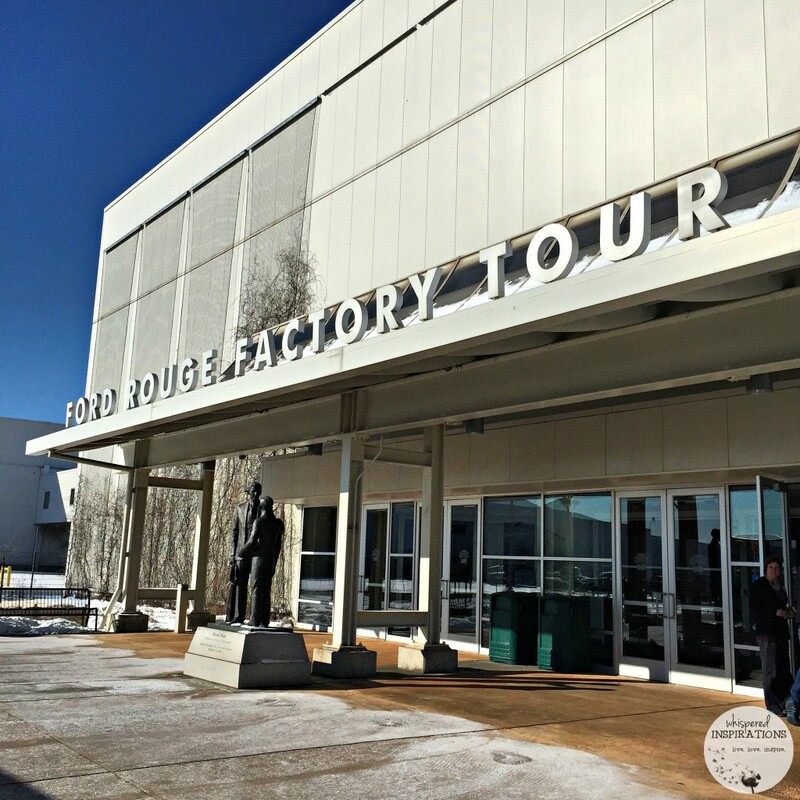 It is no wonder that the Rouge Factory has been dubbed 1 of 10 Top Greatest Places to Get Inspired by Innovation. 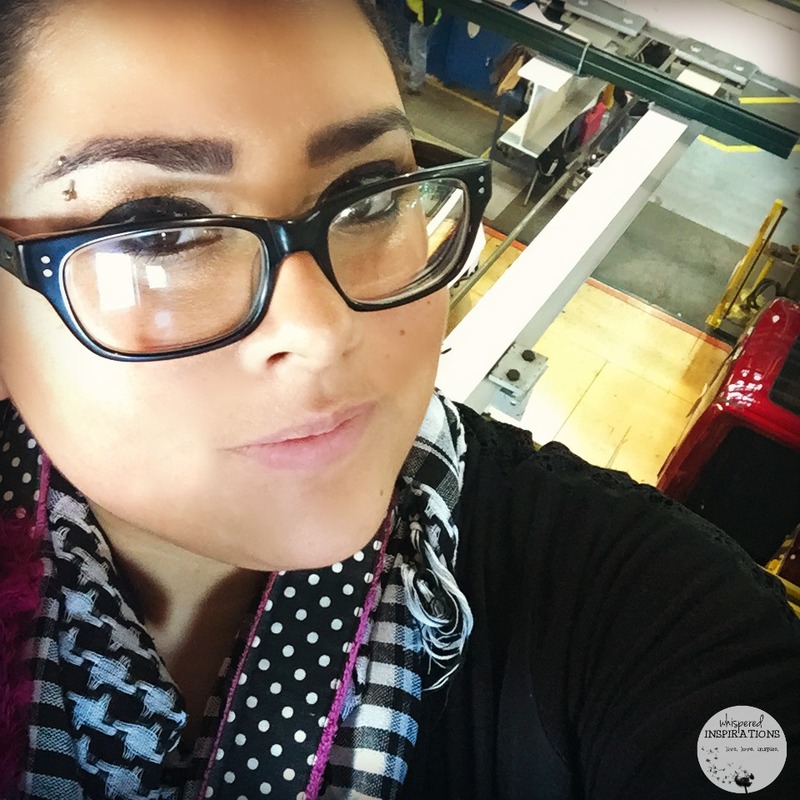 We were given the opportunity to walk the plant and for this instance, as media, we were allowed to document our experience. If you can’t make it to Dearborn, MI, please–I invite you to take a walk with me below! 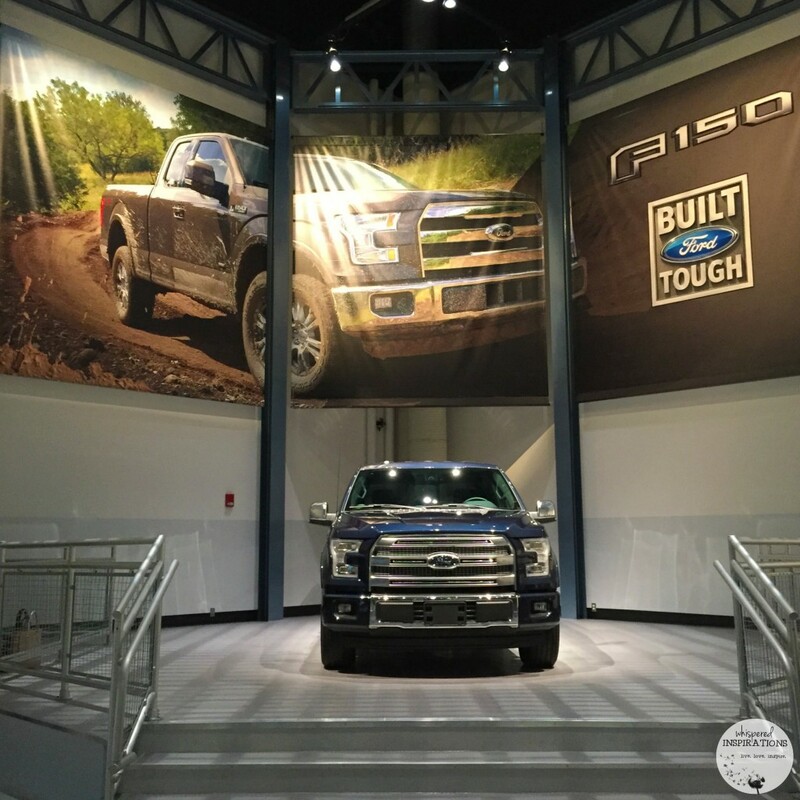 The Ford F-150 Raptor and The History of Ford. Our first stop was the The Legacy Theater, which are two state-of-the-art theaters. 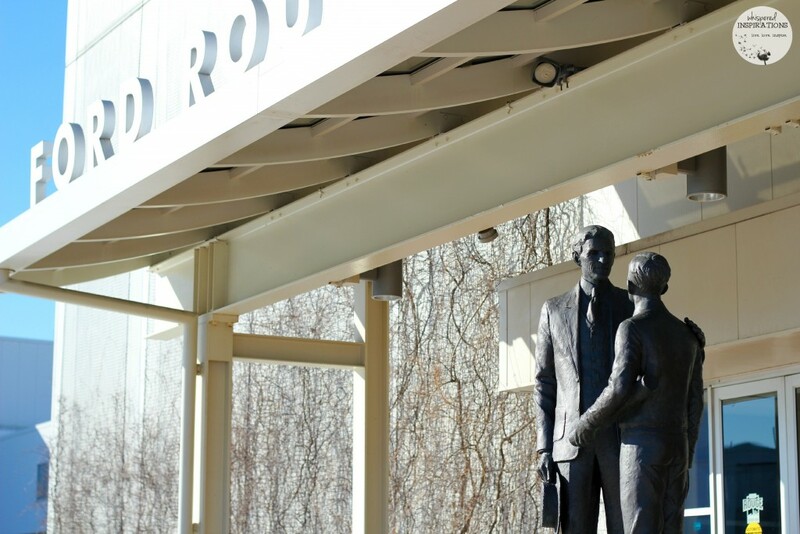 Inside you will see the history of Henry Ford and the great company he built. You’ll see never-before-seen historic footage and learn about how it all began. You will see it evolve, from aiding in the war and the coming of the union. I never knew how well Ford paid his employees and how they were finally able to drive the cars they built. The Manufacturing Innovation Theater was an amazing experience. It was a multi-sensory experience that took us from concept to upcoming production. It was amazing to see how it came to life and the special effects definitely do not hurt. I’ve also included footage of inside the Rouge. 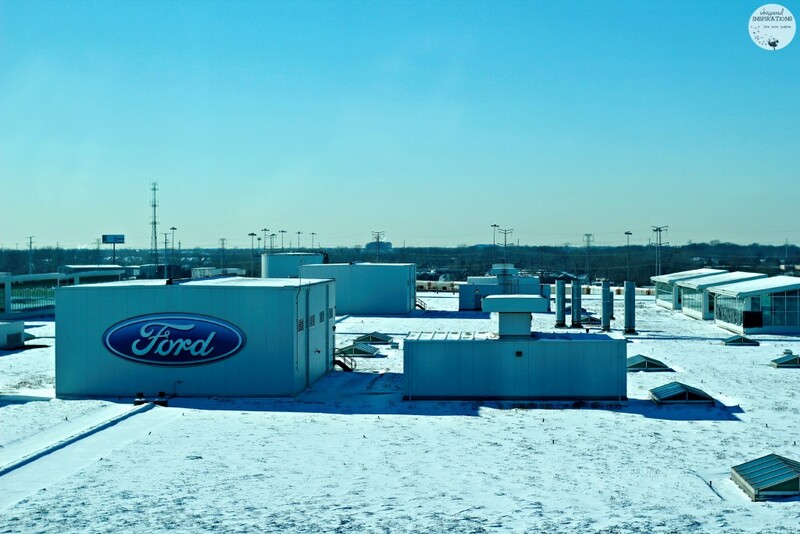 One of the profound aspects that stayed with me about Ford was that they listen to their consumers. In their theater presentation, you can see a Ford rep hitting the pavement and asking truck drivers what they can do to improve their trucks. What I loved about the Rouge Factory was that it was surrounded by a very industrial area, in fact, it is about a mile and a half long itself–but, they try to be green. 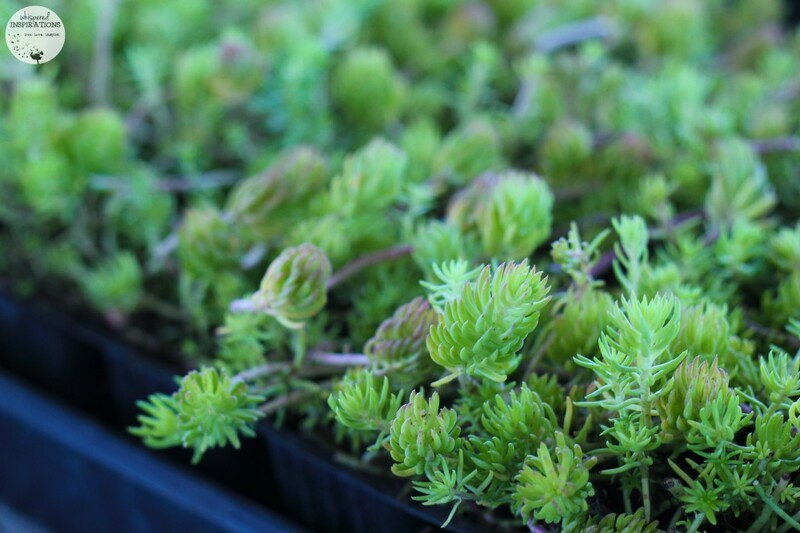 Although their new living roof was covered by snow, you can see above the greenery that covers it. 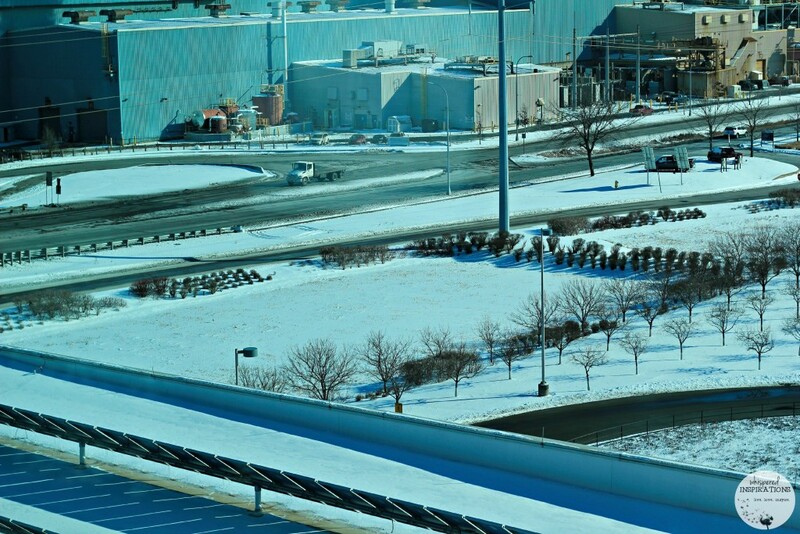 The brush allows the factory to use less energy during the winter and the summer as it acts as insulation. FUN FACT: Paint over spray is collected and compressed into a plastic and sold to make fencing. There are two marshlands on-site and miraculously, there are new wildlife that aren’t indigenous to the area who have made these marshlands their new home. There are wildlife studies happening right not at Ford because of this. They also collect exhaust fumes to create a fuel cell. 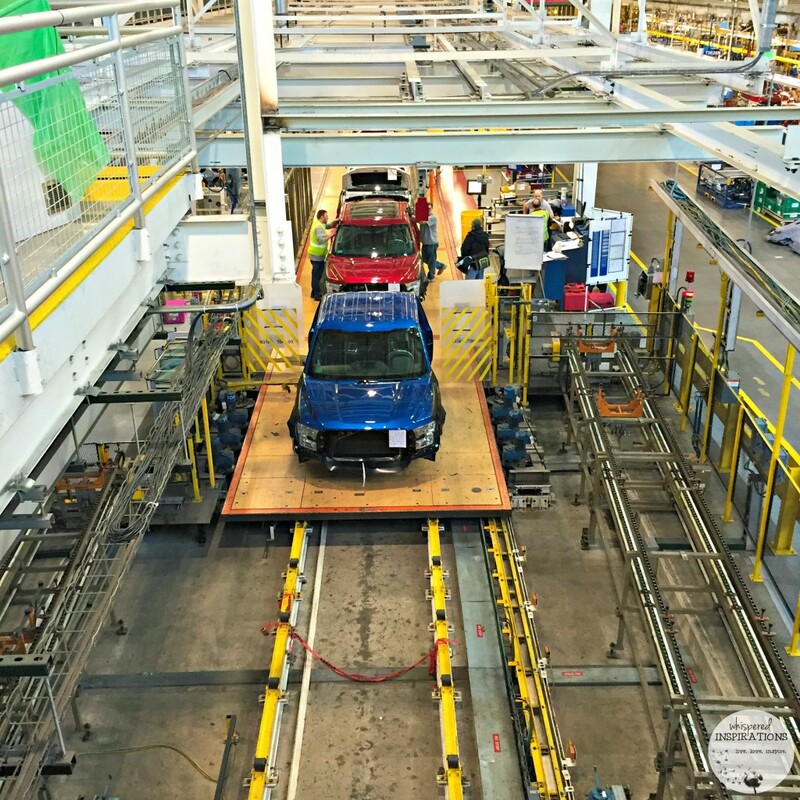 I took a self-guided tour through the Ford Rouge Factory and I took my time. 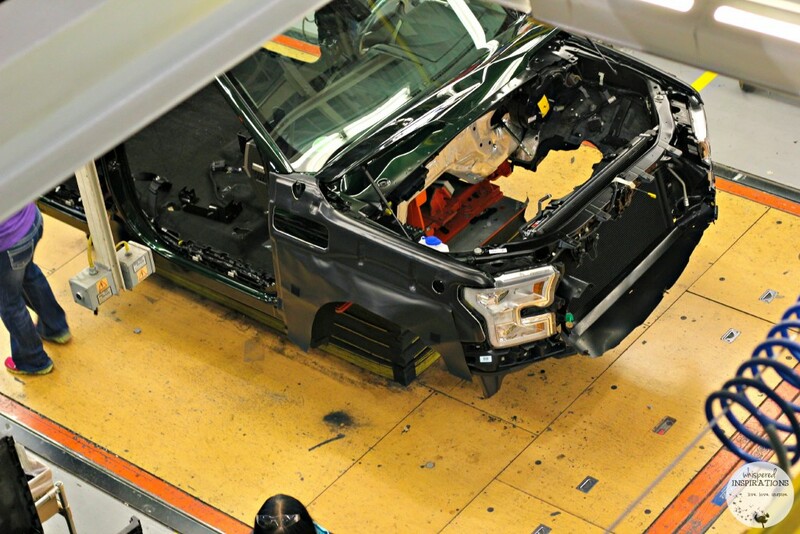 It was remarkable to see how much work goes behind making a safe and trusted vehicle. 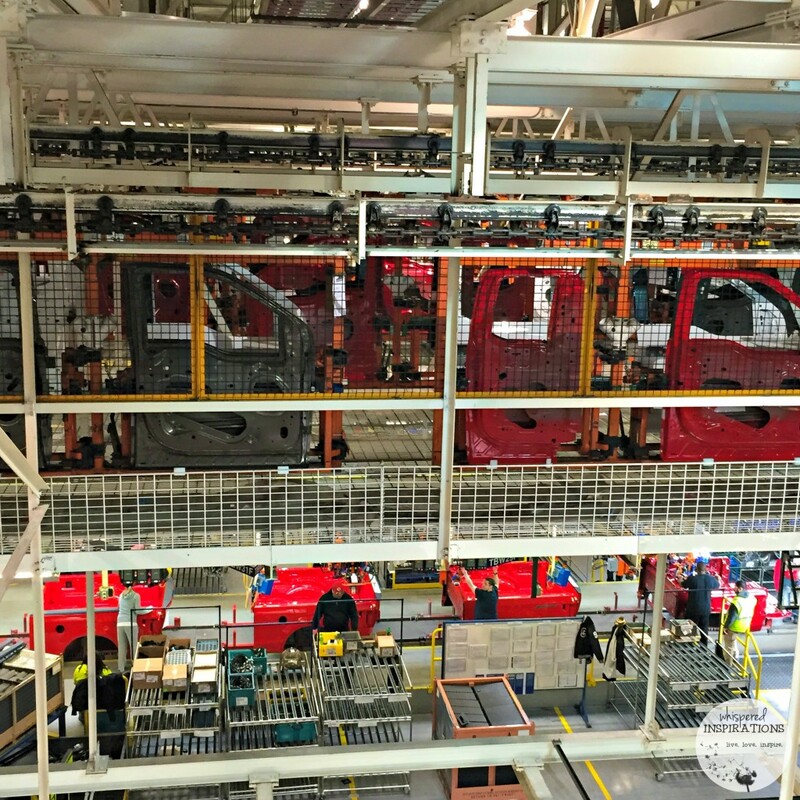 The tour takes you through each section of production and you can see the cars being progressively built as you walk through. You can see the finished product in the photo above. 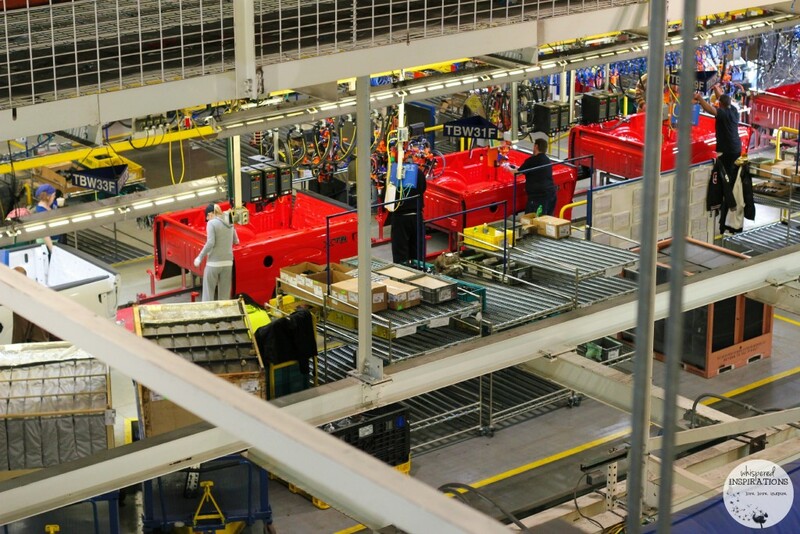 FUN FACT: Every 60 seconds a Ford truck is made at the Rouge Factory. The tour itself wraps around the plant floor and you can really see how vast and large it really is. What was really cool to see was the way that they made the doors and how they were carried through the factory. For me, it was inspiring to see what Ford’s dream transformed into. From having walked the actual floors of the first Ford plant ever, Piquette Plant (I will show you a sneak peek in my next post), where the Model T was born and created and to see the Rouge Factory and what it is today. Well, it proves that Henry Ford was a pioneer and one of the great trailblazers of our time. After walking the tour with me, what strikes you most? 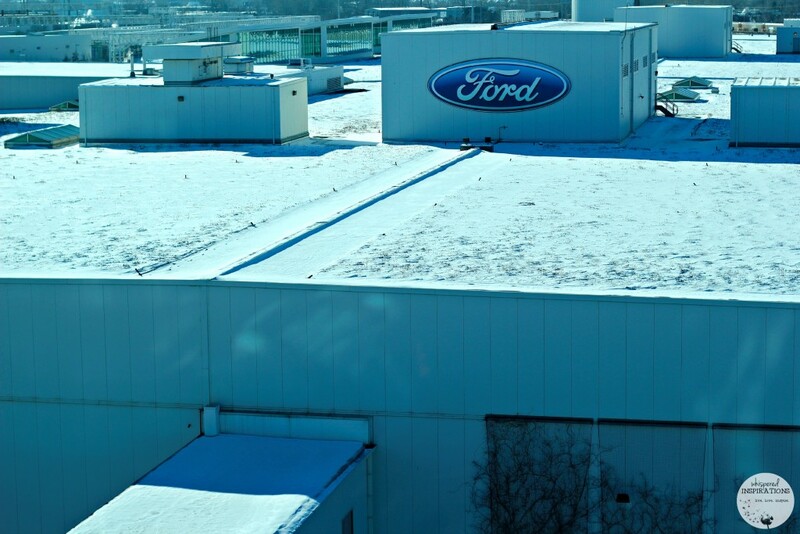 Note: Ford Motor Company paid for my travel and accommodations at the three-day NAIAS Digital Summit. It was not compensated in any other manner for my time. My opinions posted here are my own and have not been influenced in any way. I can't even tell you how jealous I am. 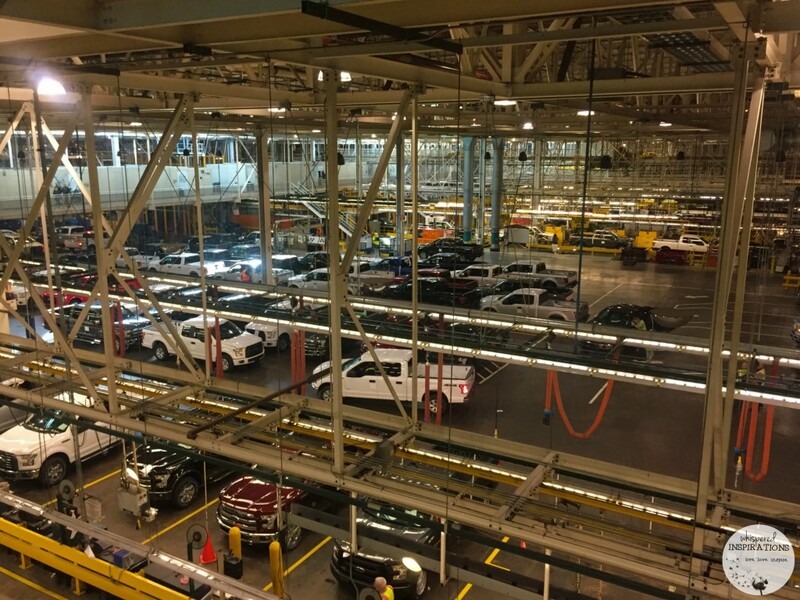 I would LOVE to tour the Ford factory someday! That looks so cool! I'd love to see a car being put together on the line. How fun! Wow such a cool place to visit! I'm sure you had a blast learning and watching the techniques of creating cars. I love your pictures. I sure did, it was an awesome experience. 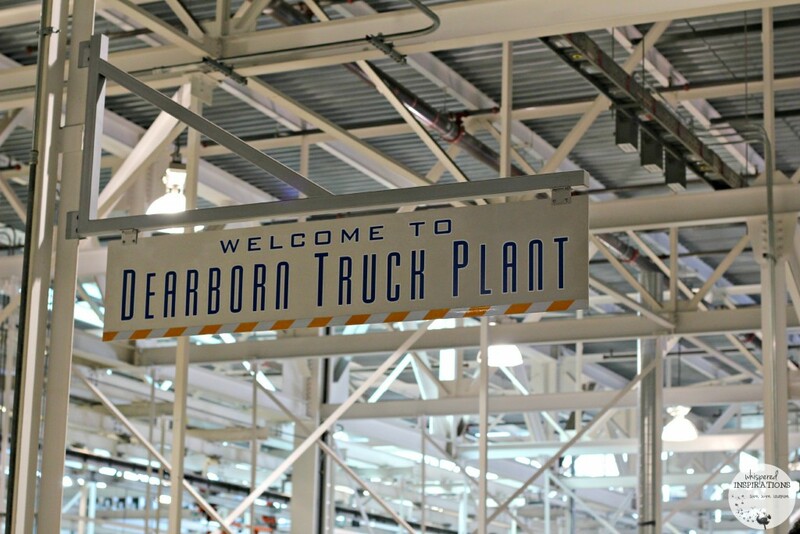 I would love to visit a Ford plant. what a treat! So much to take in and discover! We're more of a Chevy family here and my dad works for Tesla but I think any automotive factory is pretty inspiring to visit. I love the machinery and seeing how everything works. What I love about Ford is the history of the motor city. They are pioneers. I lived in the Detroit area for 12 years and I never toured this plant. I really like their green initiatives and love the trivia you threw in about recycling the paint over spray! Ford is such a great brand, and a true classic company. I love the look into their factory! Me too, thanks for joining me. I've always wanted a Ford Mustang. I had one for a day when I graduated high school that my dad bought me for graduation. Then my mom made him take it back the next day. I cried. OMG, I would have cried too! It's very progressive of them to have the green roof and the marshlands. I would like to see more companies taking this initiative. I am very happy to see this too, they do much more too. I know they used recycled materials for their cars as well. This looks like it was a great time! I'm sure learning about how cars are made was very interesting. I've actually always wondered what it was like to build a car from scratch! Great post! My pleasure, I am glad you enjoyed it! That is so cool! You are welcome, I am glad that the little sneak peek allowed that! I can't even imagine that in every 60 seconds a brand new car is made, that is so incredibly fast! Compared to days before and then hours, 60 seconds has come a very long way. Wow, look at that. 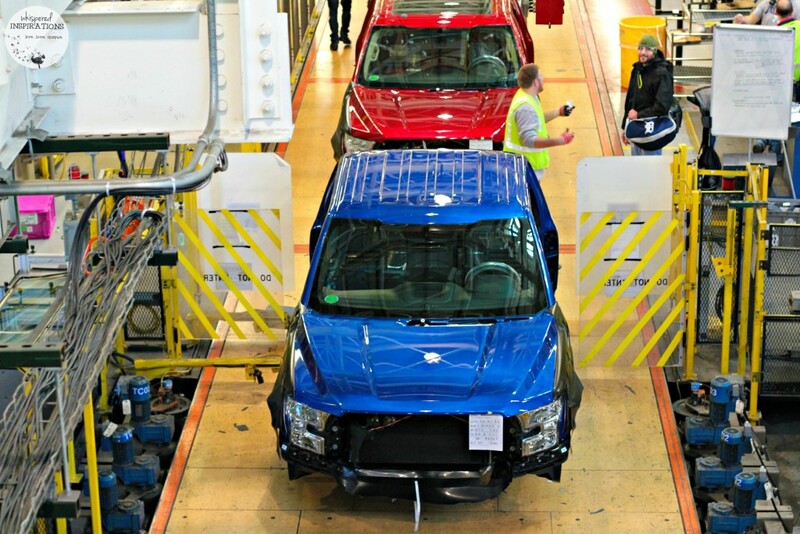 You are so lucky to have a tour in the Ford factory. I wish one day I could visit the place too. I always admire Ford for their innovative products. 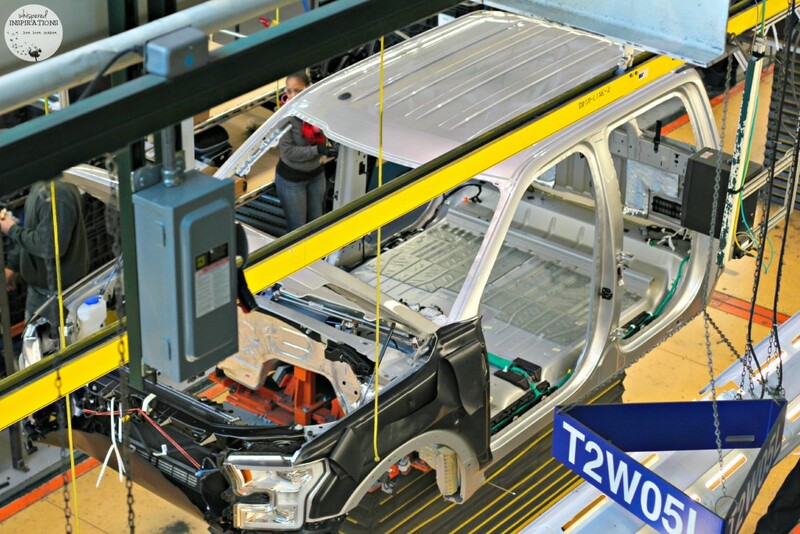 I think it would be really cool to tke a tour of the Ford factory. I love that they have a green initiate. I am happy to see a car company that cares and tries to minimize their eco-footprint. What a great experience to have. 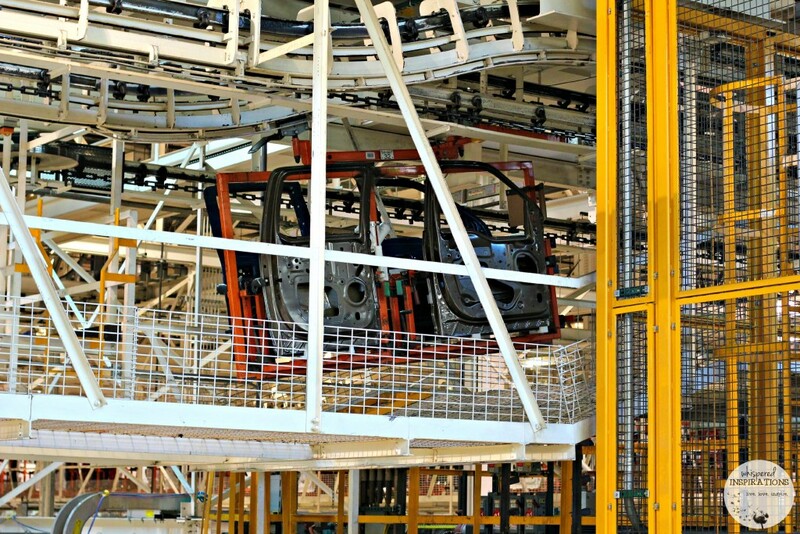 It great seeing all the picture's of the cars and I've been curious, to see the assembly line as well. I only buy American cars because it keeps our families employed in the US. Wow, that is really cool! What an amazing experience to have! It was an unforgettable experience, that is for sure! I've done the whole Ford tour. The factory and the museum stuff. The museum is cool as they have a living history museum too. It's fun to see all of the old Model T cars just tooting around. Dearborn and Detroit has some really cool stuff. It truly is a hidden gem! I am lucky that I live so close that I can head over anytime! I saw a lot of these pictures on my social media channels during the event. Sounds like you had a great time! I would love to do the tour someday. I've been to Detroit but it was business trip some years ago and I didn't have enough time to do it. I enjoyed your insights and photos. Thanks, maybe next time you can! Every 60 seconds a car is made? wowzers! I wonder if they could make a hot pink Ford Car! I'm really not that into cars, but this looks like a fun tour. I have never been on the Ford tour and I think it would be fun for my son and myself and even my niece. Thanks for sharing. OMG, I am totally with you on that one! This is one place I have never been to in all my years living in Michigan. Maybe this year we can go visit the Ford Rouge Factory. It is a true inspiration how Fords dream came true and grow more than he ever thought it would. Thanks for sharing. You should go, the theaters are awesome! My hubby loves a Ford and he certainly enjoyed this video.a true inspiration for sure. No worries, it is a beaut indeed. that is crazy cool ! i have worked at a car plant before but it was just putting the seats together. I have never seen a car be put together before. awesome pics! Thanks, it was amazing to see! Very cool tour! I love their classic models! Wow,you lucky duck.What a wonderful place to visit !